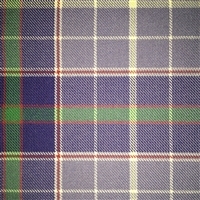 They have the sole rights to produce this tartan. no one is authorized to sell it in acrylic. sash measures aprox 12 x 90"